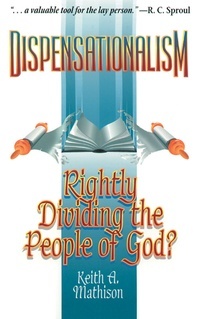 Dr. Mathison allows dispensational writers to speak for themselves. He contrasts dispensationalism’s views on the church, salvation, and end times with Reformed views. This insightful book can help you discover what Scripture actually teaches about the Tribulation, Rapture, and the Millennium. It includes sections on lordship salvation and the relationship between Israel and the church. This is a great resource in order to parse the fallacy of dispensationalism.